The corvette takes its place in our navy only beginning in 1696 when it is referred to as a "corvette or long bark." It appears in annual inventories until 1746 when the term "long bark" falls off and only the name "corvette"is retained. We felt it was important to choose a distinctive example of this type of ship in our navy during the Restoration. 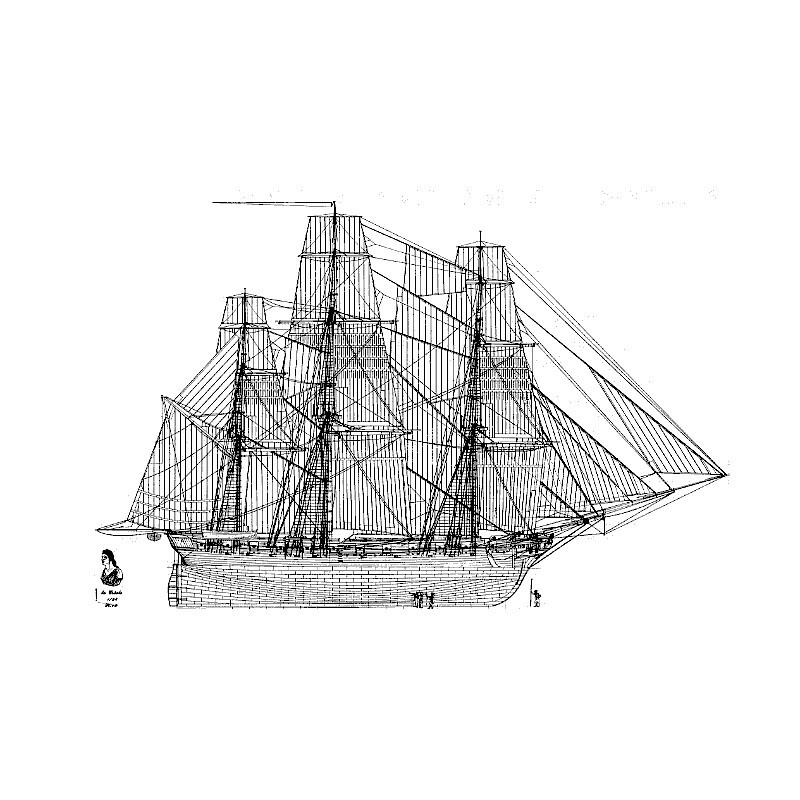 Hence the choice of the Créole, whose celebrity is heightened by the role she played in San Juan de Ulloa, Mexico, in 1838, under the command of the young prince de Joinville. 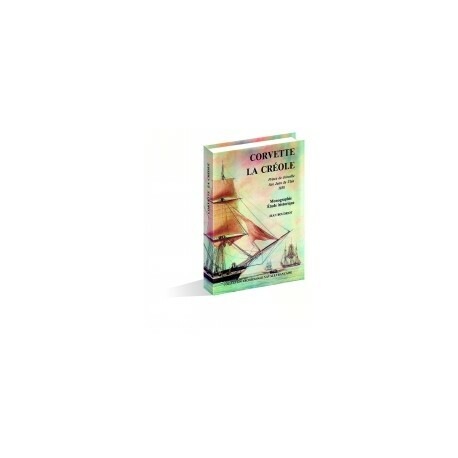 The first part of the work is devoted to the history of the corvette in our navy over a period of nearly two centuries. 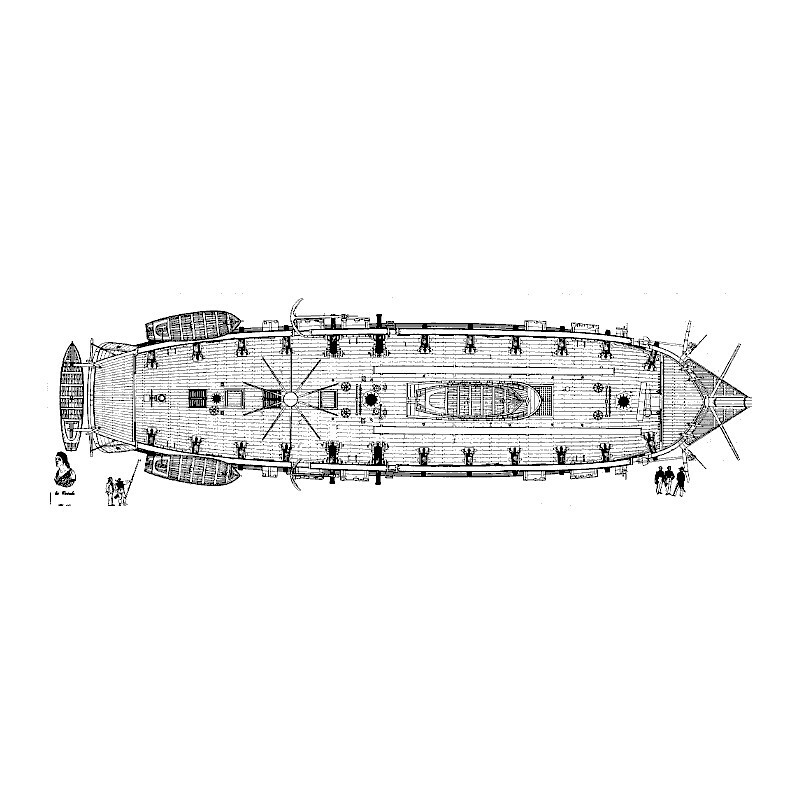 An original text and numerous documents of the period are guaranteed to please enthusiasts of French naval history. The study of the rigging is developed in depth. In short, this is a monograph of exemplary quality. The 1:48 scale we have chosen will allow practiced model builders to construct a first-rate piece. One volume, 24 x 31cm format, full cloth binding, 176 pages, with 14 plates (each with 3 and 4 fold-out sections), in the form of an appendix. with a tinted watercolor by F. Roux, which is identical to the jacket of the bound volume. 14 planches à l'échelle du 1/48ème + 1 planche à l'échelle du 1/84ème placées à la fin de l'ouvrage. 15) La Créole sous voile à l'échelle du 1/84ème.